Reggie is a nervous boy who unfortunately thinks the world is a really scary place. He is looking for an understanding owner who has experience with nervous dogs, and preferably with larger breeds. He will need to carry on working on his socialisation and confidence building when he goes home, but he’s always happy to do training so he can get his favourite reward of cheese or dried liver treats. He is a very playful boy and enjoys running around with his toys. 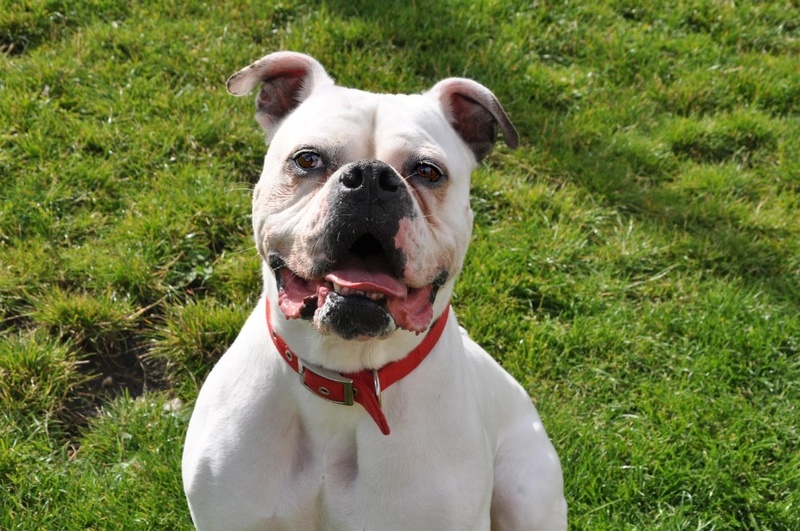 He loves his home comforts and likes to cuddle up with his teddy bear, and can often be heard snoring in the kennel. Reggie does have some health issues which could mean he won’t have as long to enjoy life as we would like, but we are keen to find him a loving home where he can enjoy being spoilt rotten for the rest of his life. He needs a quiet home away from the city centre which has a private garden. He would like to be the only pet in his new home.